Here at Abbey Fire Centre, we work with a variety of manufacturers - not just two or three like most other showrooms. We believe this enable the customer to make a more educated decision on which wood burning stove, gas fire or gas stove to choose. We think that our range is second to none, and coupled with our experience and detailed knowledge of all of our products, your choice will be the best you can make. We have listed some of our brands below to give you some idea of who we work with and why - a more detailed list can be found at the bottom of the page. We see more and more customers who are building single storey (and double storey) extensions, and these people, in the main, are looking for a more contemporary stove to go with their new build. Tall, freestanding stoves are suited to this - they are aesthetically striking, without the need for a fireplace, don't take up much space, and work very well where there is no chimney - therefore a twin wall flue system can be used. We work with a number of different manufacturers who offer this type of stove - two stoves that we currently have on display in our showroom are from Scan and Contura. Ever since the company was founded in Odense in 1978 we at Scan have focused on offering our customers the best wood-burning stoves on the market, paying particular attention to design, innovation, and user-friendliness. For us it is not just about warmth, but about delivering a perfect flame, enclosed in a design-conscious piece of furniture to suit the majority of homes. The combination of Danish design, brave ideas, and an eye for detail has turned Scan into a leading brand in wood-burning stoves. Our factory is in Denmark, where we have total control of our raw materials, production and the finished product. This is how we guarantee our customers a positive experience many years down the line. As a leading manufacturer of wood burning stoves in Scandinavia and across Europe, we are passionate about the quality of our products and integrate the highest standards of quality, efficiency and timeless class across our entire selection. Traditional Wood Burning Stoves are ideally suited to houses with traditional chimneys - they can be recessed back into the chimney by creating a chamber for the stove to sit within. Although a traditional stove looks lovely in a plain opening, they can be set off very nicely with an oak beam or a stone or wooden surround to finish the look. 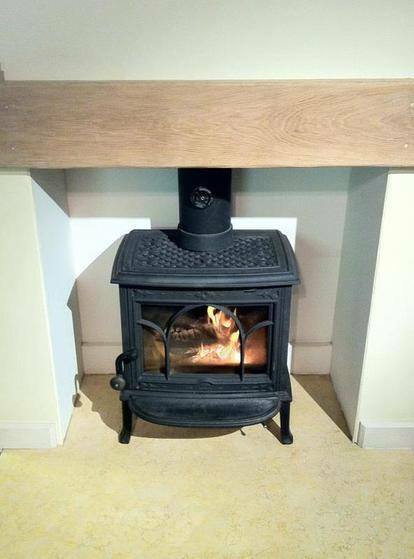 We have a number of these on display in our showroom from manufacturers such as Town and Country Fires, ACR and Jotul. Town and Country Fires are one of the very few stove people who actually make the stoves from start to finish. We design and perfect the combustion in the stoves, so that they out-perform some of the very best stoves across the world. We buy best British steel, cut it accurately with a laser cutter, then bend it with a C.N.C press. The metal formed shapes are then passed to our robot welder which produces high penetration, extremely accurate joints. Once the bodies have been produced in this way, they are finished by hand, which includes shot blasting to enable a good penetration of paint. Some of the stoves are completely hand made, by staff who have worked for us for many years. In the summer of 2014, ACR launched their new range of cast iron stoves, The Oakdale, Ashdale and Rowandale which offer a choice of enamel finishes along with matt black paint finish. Autumn 2014 saw the launch of the ACR range of contemporary stoves which will be the first contemporary stove in the UK which can burn wood and smokeless fuel whilst being DEFRA approved and all have a 5 inch diameter flue outlet. Jotul is one of the world's oldest producers of stoves, inserts and fireplaces. Building on a proud Norwegian heritage, we have combined fine craftsmanship with the art of coping with the cold for 160 years. Our timeless products bridges the past and present and integrate with the architectural qualities of modern living spaces. They feature Norwegian craftsmanship and functional design with both immediate appeal and design qualities that stands apart from short-lived trends. While beauty is in the eye of the beholder, good design is definitely more than meets the eye. At Jotul, we strongly believe that form should follow function. Our customers deserve the absolute best stoves, inserts and fireplaces. That's why all our products are handmade in Norway using only the best available materials. In fact, our unmatched durability is the main reason why Jotul offers the longest warranty on the market. No wonder why our F602 is the most sold and copied fireplace in history.